The Japanese grater is a handy kitchen tool to grate your wasabi rhizome. It is very different from European graters because it does not allow herbs or vegetables to be pushed through to the other side. This allows a platform to generate the aromatic flavours and heat to assemble the wasabi into a small pile of wasabi paste. In order to grate the wasabi rhizome (known as wasabi root), merely hold the rhizome and move against the grater in circular motions to create the wasabi paste. 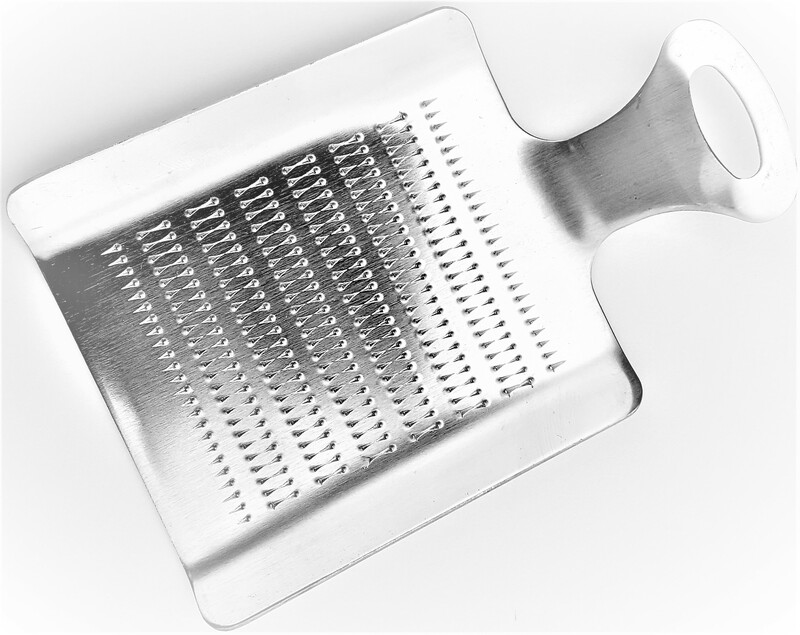 This grater can also be used for ginger, horseradish, garlic and other items. The grating area is approximately size: 11.1 cm (wide) x 7.1cm (Length).